Darren Munn, Surgical Care Practitioner. Photo credit: Tim Cooper, Radiologist, Torbay and South Devon NHS Foundation Trust. 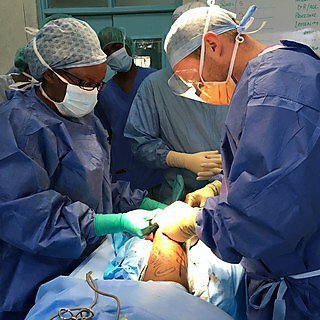 My name is Darren Munn, I work as a Surgical Care Practitioner at Torbay Hospital in South Devon and I am the Theatre team lead for the Kenya Orthopaedic Project. 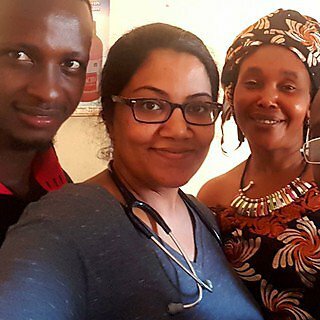 I have been involved with the charity for 4 years and have been on 12 projects to Kenya in 3 different hospitals. 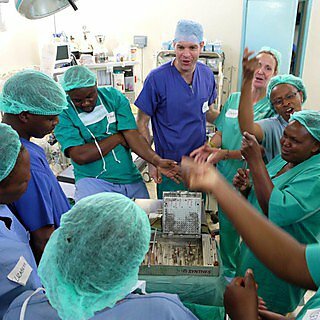 I help to organise the volunteers for each project, we all raise money to participate to use and teach are professional skills we bring while working alongside our Kenyan colleagues. I also look after and organise the equipment and supplies for each trip to enable the charity to donate and run each project.